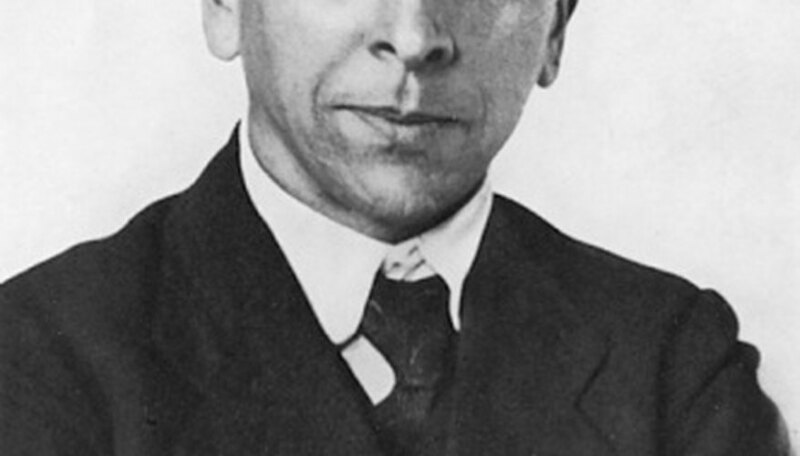 Alfred Wegener was a German geophysicist and meteorologist who was a strong early proponent of continental drift as an explanation for the geological and biological similarities and differences between the continents. He first published his theory in a paper titled “Die Entstehung der Kontinente” ("The Origin of Continents") in 1911. In this, and several further papers and books, Wegener used evidence from the fossil record to support his theory of continental drift. Wegener was studying global atmospheric phenomena that involve sudden changes in temperature and pressure in various layers of the atmosphere. When looking at a global atlas that showed that South America and Africa had similar coastlines, both at sea level and at 200 feet below sea level just off the coast, he hypothesized that not only were there levels of movement in the atmosphere, but also in the continents themselves. He did not pursue his hypothesis until later that year when he read about correlations between fossils that were found in both Africa and South America, fossils of species which could not have crossed an existing ocean. Two fossils in particular served as good evidence for the idea that the continents were once joined but have since separated: Glossopteris and Mesosaurus. Glossopteris is a seed plant that appeared suddenly during the Permian period and rapidly spread throughout Gondwana, the landmass which later became South America, Australia, Africa and Antarctica. Glossopteris then experienced a relatively quick extinction at the end of the Triassic Period. The wide distribution of Glossopteris on different continents at the same point in the fossil record lent support to the idea that these now-separate continents were once joined. Fossils of Mesosaurus, a marine reptile more ancient than dinosaurs, are also found in both South America and South Africa, and provide further evidence of past land connections. While the phenomenon of radioactive decay had been known since the end of the 19th century, modern laboratories are able to date rocks and fossils much more accurately than ever before. Further modern evidence about the age of fossils on different continents only adds to the credibility of Wegener's theory. As well, rocks gouged by glaciers are also consistent across continents and provide another type of geological evidence that fits chronologically with fossil evidence of past connections between continents. Finding similarities among the fossil records on different continents provides evidence for the theory that current continents were once connected. The fact that life on each continent is now distinct is another type of evidence. This suggests that the movement of the continents is quite slow and while they each started out with the same types of plants or animals, changes in location and therefore climate put different evolutionary stresses on each continent. The result was that the ancient animals underwent divergent evolution; they evolved into different creatures on each continent. What Does a Magnetic Pole Have to Do With Plate Tectonics? Brooks, Lizzie. "What Do Fossils Have to Do with Wegener's Theory?" Sciencing, https://sciencing.com/do-fossils-do-wegeners-theory-8160915.html. 25 April 2017.